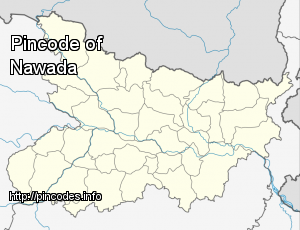 Nawada is a city and a municipality in Bihar. It is also the headquarters of Nawada district. Headquarters town of the subdivision of the same name, lying on both sides of the river Khuri in 24º 53’ N and 85º 33’ E. The name is a corrupt-ion of Nau-abad or the new town. . In the 2014 election, Bharatiya Janata Party's (BJP) Giriraj Singh won defeating his closest rival Rashtriya Janata Dal candidate Raj Ballabh Prasad by a margin of 140157 votes. The Minister of State of Micro Small and Medium Enterprises made the remarks during a function in his parliamentary constituency of Nawada on Saturday.